It is precisely in this place that we wanted to hold our workers’ meeting, despite attempts to arouse apprehensions among us. We wanted to appear amid the most reactionary population, to reinforce the existence, propagation, and hope for the future of our great Association [International Working Men’s Association]. In our midst there has been formed a group advocating the workers’ abstention from political action. We have considered it our duty to declare how dangerous and fatal for our cause such principles appear to be. You know that the institutions, mores, and traditions of various countries must be taken into consideration, and we do not deny that there are countries — such as America, England, and if I were more familiar with your institutions, I would perhaps also add Holland — where the workers can attain their goal by peaceful means. 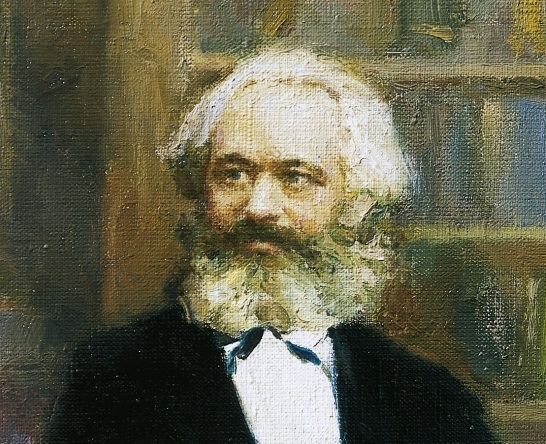 This being the case, we must also recognize the fact that in most countries on the Continent the lever of our revolution must be force; it is force to which we must some day appeal in order to erect the rule of labor. The Hague Congress has granted the General Council [London-based administrative body of IWMA] new and wider authority. In fact, at the moment when the kings are assembling in Berlin, whence are to be issued new and decisive measures of oppression against us by the mighty representatives of feudalism and of the past — precisely at that moment, when persecution is being organized, the congress of The Hague considered it proper and necessary to enlarge the authority of the General Council and to centralize all action for the approaching struggle, which would otherwise be impotent in isolation. And, moreover, where else could the authorization of the General Council arouse disquiet if not among our enemies? Does the General Council have a bureaucracy and an armed police to compel obedience? Is not its authority entirely a moral one, and does it not submit its decisions to the judgment of the various federations entrusted with their execution? Under such conditions — without an army, without police, without courts — on the day when the kings are forced to maintain their power only with moral influence and moral authority, they will form a weak obstacle to the forward march of the revolution. Finally, the congress of The Hague has moved the headquarters of the General Council to New York. Many, even among our friends, seem to have wondered at such a decision. Do they then forget that America will be the workers’ continent par excellence, that half a million men — workers — emigrate there yearly, and that on such soil, where the worker dominates, the International is bound to strike strong roots? Moreover, the decision of the congress gives the General Council the right to employ [in Europe] any members whose collaboration it considers necessary and useful for the common welfare. Let us trust its prudence and hope it will succeed in selecting persons who will be capable or carrying out their task and who will understand how to hold up the banner of our Assocation in Europe with a firm hand. Citizens, let us think of the basic principle of the International: Solidarity. Only when we have established this life-giving principle on a sound basis among the numerous workers of all countries will we attain the great final goal which we have set ourselves. The revolution must be carried out with solidarity; this is the great lesson of the French Commune, which fell becaue none of the other centres — Berlin, Madrid, etc. — developed great revolutionary movements comparable to the mighty uprising of the Paris proletariat.